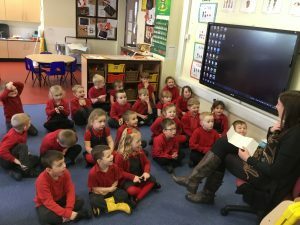 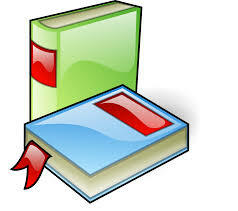 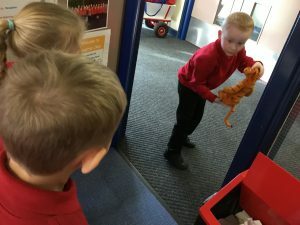 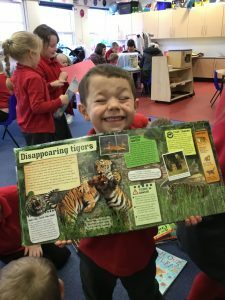 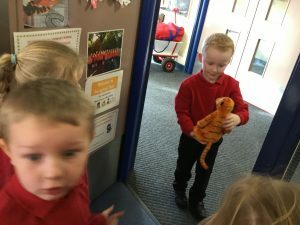 In Reception class we have been reading the story ‘The Tiger who came to tea’ by Judith Kerr. 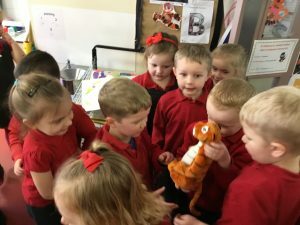 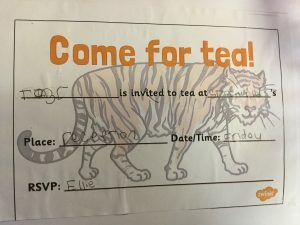 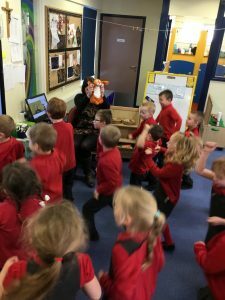 We couldn’t believe it when we received a letter from the tiger asking if he could come to St Oswald’s for tea. 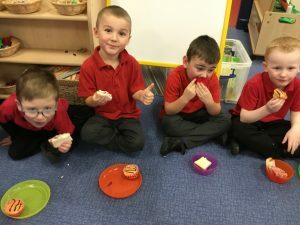 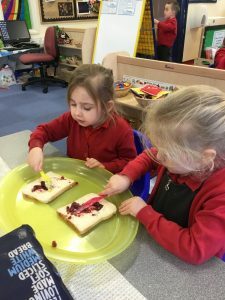 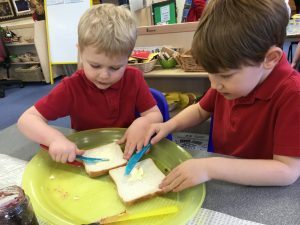 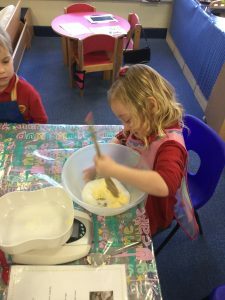 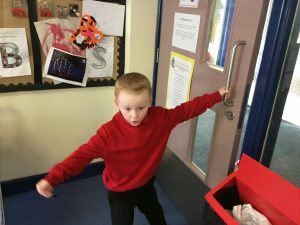 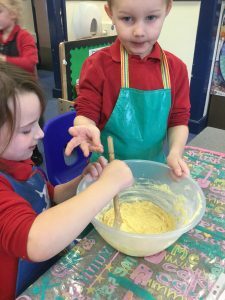 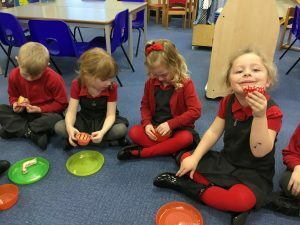 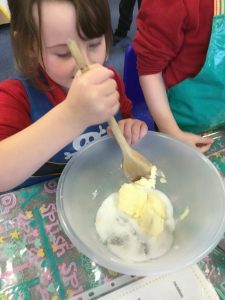 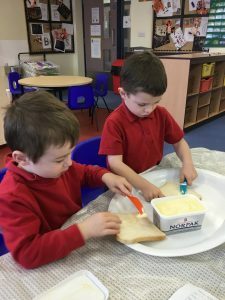 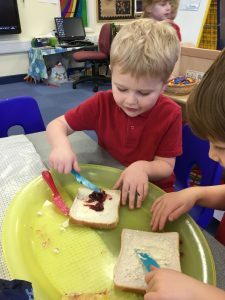 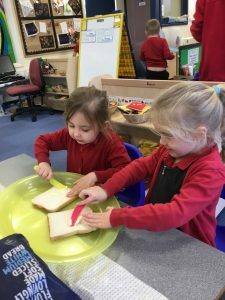 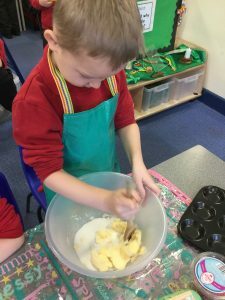 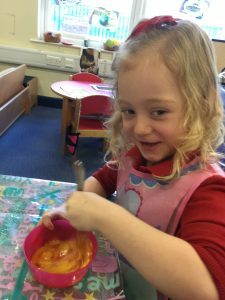 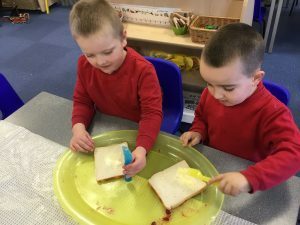 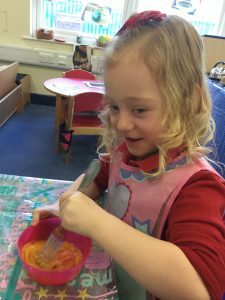 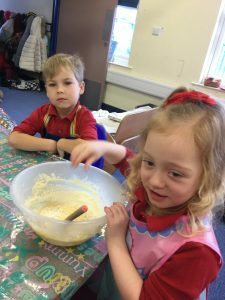 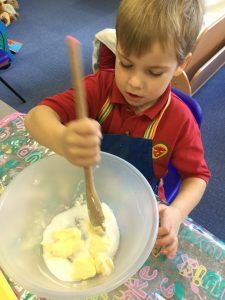 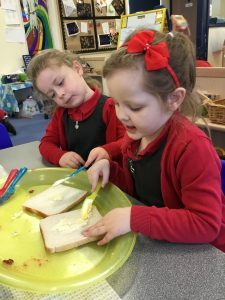 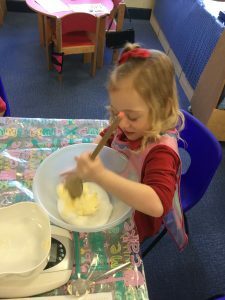 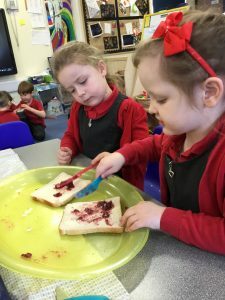 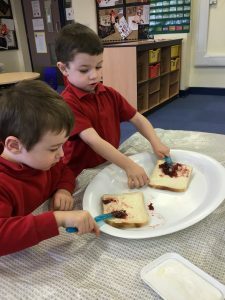 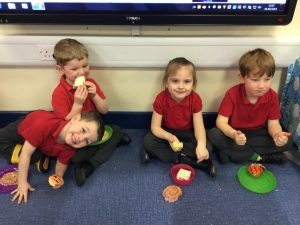 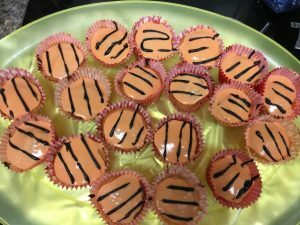 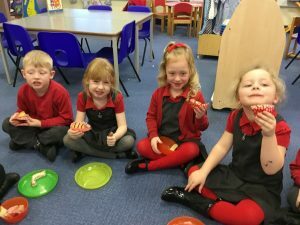 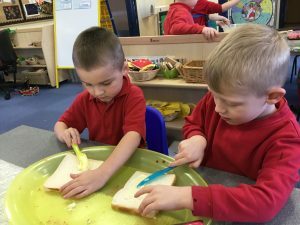 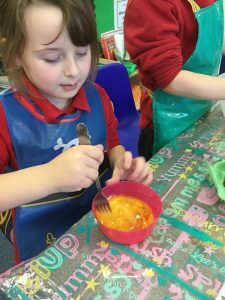 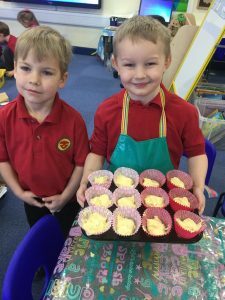 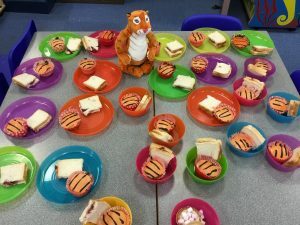 We decided we would write the tiger a special invitation and then we were very busy all week getting ready for the tea party, we made shopping lists, went to Aldi to buy food for the tiger and then worked hard to make some delicious tiger fairy cakes and jam sandwiches. 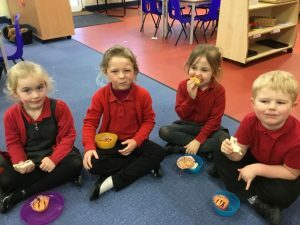 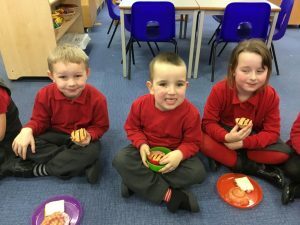 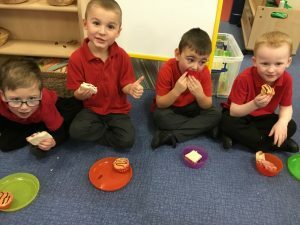 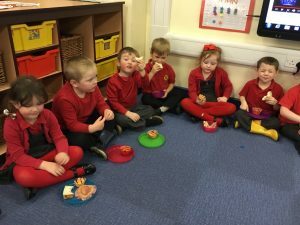 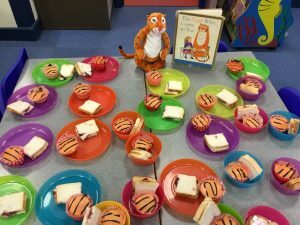 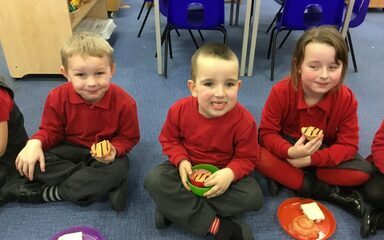 We had a fantastic tea party with the tiger and were very pleased he wasn’t too greedy!